Born on 8 September 1952 at Barahiya, Lakhisarai District of Bihar in a Bhumihar Brahmin Family. Giriraj Singh is an Indian politician and the current minister of state for Micro, Small and Medium Enterprises in the Government of India. 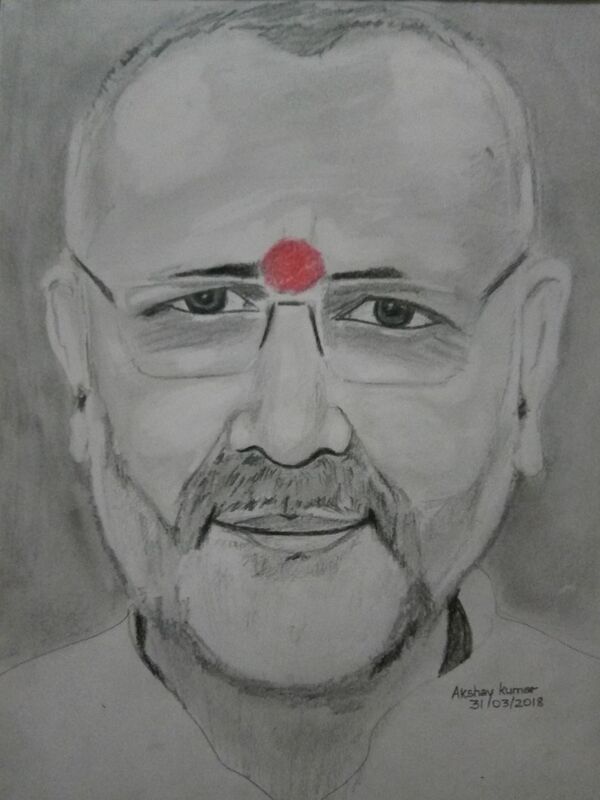 This Origianl Drawing of Shri Giriraj Singh is made using HB, 6B and Color Pencils on A4 Drawing Paper.